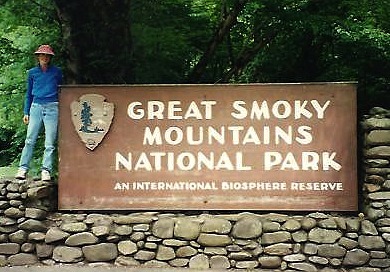 The Great Smoky Mountains National Park is the most popular in the U.S. While it's beautiful and makes for an economical vacation (no entrance fee), it's also close by. The Smoky Mountains are within a day's drive of 1/3 of the American population. The park is an oval-shaped wilderness covering 800 square miles. It straddles the Tennessee/North Carolina border and traces the Appalachian Trail. The Smokies are the highest mountains east of the Rockies. With that and so many great reasons to visit the Smokies...hiking, camping, wildlife, wildflowers ...here's what you need to know before you go. Come anytime! The Great Smoky Mountains National Park is open 24/7 and there's no entrance fee! The best way to get around the Great Smoky Mountains National Park is by car. Make sure you get gas before you enter because there are no gas stations within the park. There's also no public transportation. Newfound Gap is the main road that runs through the park. You'll definitely feel like a tourist as all the locals whiz by you! 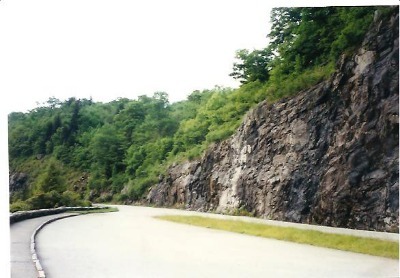 This 2-lane, paved, scenic highway is 33 miles long. There are mile markers along the way, starting in Gatlinburg. Newfound Gap is the busiest road and runs all the way through the center of Great Smoky Mountains National Park. Here's some more helpful info to make your trip to the Smokies even better.